I’ve noted how the initial explorations of the third jurisdiction (“Therapeutic Education”) still has much cross-over with the second (“Therapeutic Medicine”), to prepare the patient for the full engagement with it. Likewise, there is a root of this third jurisdiction which reaches back into the first jurisdiction of Regimen. Beyond the basic level of education within the first jurisdiction (How do I choose foods most resonant for me based on typologies? How do I find the balance between too much and too little exercise? Etc. ), there is a higher aspect to applying Therapeutic Education to Regimen. This essentially comes from confronting the meaning of regimen – its why rather than its how. The usual approach to Regimen, or even to thinking about it, is of a commitment to deprivation, and being healthy for reasons of fear of disease, rather than for gaining pleasure. Another view of this comes in the form of seeing any effort put into one’s health as a disease itself called “health nut-itis” – the seemingly obsessive pursuit of health at the cost of actually living. There is a germ of truth in the view, in terms of anything which is done rigidly or in an overly zealous manner. Any health choice made out of rigidity, fear, or a contractive attitude has questionable value, and possibly a detrimental one. 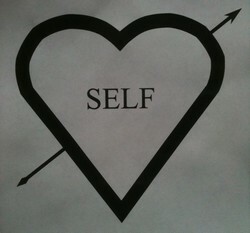 The real purpose of regimen really comes as a function of self-love instead of fear. The hedonistic pleasures which can come from “eat whatever you want”, and “do whatever feels good” are actually much limited in their scope compared to the richer and deeper pleasures that come when one’s regimen is aligned to support our ability to fulfill our higher purpose and desire function. It happens with many of my patients, that they say they want to be healthier, and ask for advice for what they can do to reach this goal; however, when they come back for their monthly follow-ups, they have often not followed my advice, and ask if there is instead a homeopathic remedy they can use to try to reach their goals. This strange contradiction between what they say, and what they actually are able to do at a given point in time illustrates the huge gap created by a deficiency in the patient’s self-love. Rather than beating themselves up over it, I educate the patient to take note of this deficiency in their self-love quotient, and work with them to address their issues which keep them from a fuller form of self-love. Once a patient is more aligned at this level, regimen no longer feels like deprivation, or even a battle of will power, but a pleasurable source of fuelling them towards their higher goals, and the unfolding of their unique desire program. Rather than feeling like they are a “health nut”, they feel more connected to life than they ever imagined before. What are the blockages for you engaging with your best regimen? It usually boils down to a combination of not being clear over which practices are best for you, and/or not being able to engage your willing forces due to emotional blockages or attachments. Write down what these are for you, and decide what would help you to get past the first one. Call the clinic for help in any of the three jurisdictions in your healing. This is really good Jeff, and after reading this, series I feel I can participate more consciously in my own heilkunst therapy, because you’ve given a picture of where you’re coming from and where I’m going. Thank you truly for your work. I’m glad you were able to get a clearer image about the Heilkunst map, Mary Anne — that’s what I was hoping these articles would accomplish. Lee, could you re-word your question? I’m not sure I’m catching your sense here of “the right practices opens the willing forces”. Jeff, By “right” I mean resonant (practice or activity or substance) … like the correct remedy will re-balance a dis-ease. Right now e.g., I am experiencing healing and release through sacred storytelling that I believe is repairing a traumatized state of mind/body and opening my will(ingness) to a deeper and higher level of healing. Clearer? OK – yes – the “right” (resonant) choice is essential for going down the correct path, but still doesn’t ensure you’ll have what you need to bypass your own resistances (ego, armoring, etc.). Yes, I agree and that’s an essential point. Right now, I’m focusing on reframing my experience of Regimen (moving toward meaning, balancing and self-love) which I have found the most challenging … and … now I seem to be moving a little closer toward Desire and further away from Deprivation. Like a good story that gets better on a second reading, that why I’m rereading this series and other articles, including the 90 Day Breakthrough and finding them very helpful …. Thank you.